LED Light therapy uses three different light wavelengthsto provide a multitude of skin rejuvenation treatments to the face and neck, each of which have there own cliniclly proven benefits. 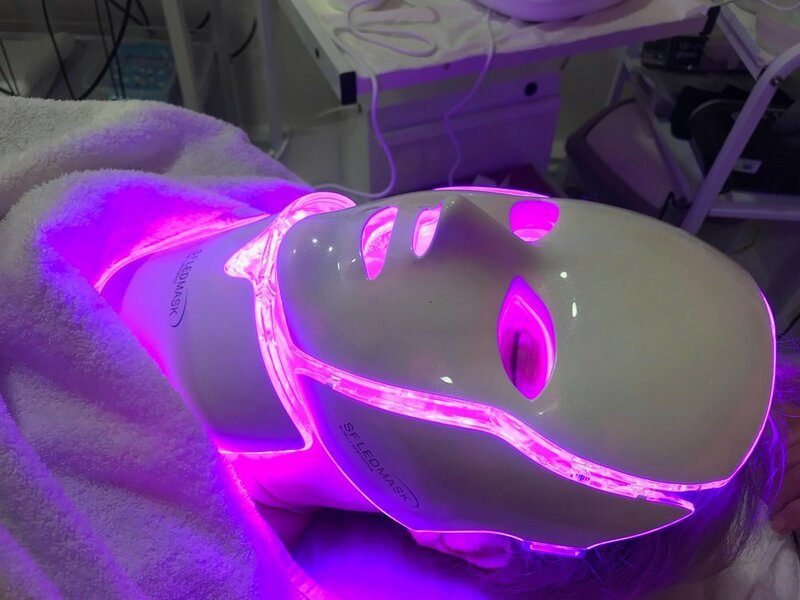 The LEDmask uses 192 LED’s to stimulate the facial cells, and kicks starts a number of processes, which help rejuvenate the skin. The Mask emits a precise combination of LED light wavelengths, designed to provide optimum results. The 830nm near infrared light is invisible to the naked eye, but will penerate deeper than other colours. All the LED modes utilise Infra-Red Light in combination with visable light of the selectable wavelength. This treatment is 100% safe, and doesnt give harmful radiatiobns and heat, unlike other Laser traetments. It also doesn’t damage your skin, has absolutely zero side effectsand recovery time.